I’m preparing for the Conscious Self-Pleasuring Webinar on Wednesday, and I’m think about all the things I’d like to share with you, there’s so much. One of the important ideas is about patterns. Our sexual patterns are deep within us. They’re in our bodies, they’re in our minds and they’re in our energy. What this means is that when we’re going to have a sexual experience, even the thought of a sexual experience, we go into a pattern. Our body does it, our mind does it. It prepares itself and us for the experience by bringing a whole lot of things online. And then we add our expectation to that and we have the experience we generally always have. The pattern determines the experience. And when we’d like to experience something different, we have to change the pattern. We have to change the pattern in our minds, and we have to change it in our body. When we do this the energy changes, expands, and we can begin to have different experiences. 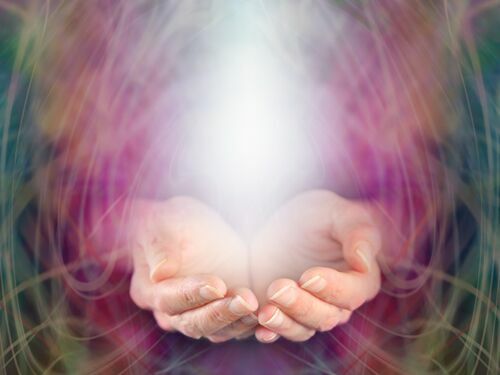 Self-Pleasuring, when we’re conscious of the experience, when we’re creating it, when we’re bringing an intention, an awareness and combining that with a practice, we’re creating new patterns. So this is not only about having more pleasure, which happens almost without us having to focus on it, it becomes a space of exploration, healing and growth. Everything we do is a frequency of energy. When we’re doing the same thing, the energy is the same. When we do something different we’re expanding the energy, creating different possibilities. This space, our Self-Pleasuring experiences, become the space for us to explore and expand our pleasure. Now there’s more than that. Nothing inside of us happens on its own. Everything is connected. When we change some of our pleasure patterns we’re changing other things as well. Our sexuality is just the place they’re playing out. And while we’re talking about energy, this is a great opportunity to learn to explore some of our sexual energy, and experience its different expressions, from slow and gentle to the fire. There are some of the things we’re going to be talking about, and of course, the practices, how to make these experiences happen. The webinar is R450, for people from abroad that’s about $30.